his report provides test results and reviews of security products for smartphones running Google’s Android operating system. 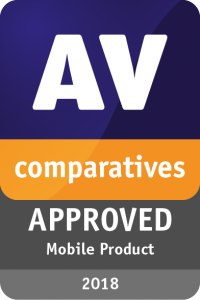 INNSBRUCK, TYROL, AUSTRIA, August 30, 2018 /EINPresswire.com/ — This Andrdoid Mobile Security Review and Test performed by AV-Comparatives provides test results and reviews of security products for smartphones running Google’s Android operating system. Amongst other things, this report aims to help readers decide whether they would benefit from the more comprehensive and sophisticated security features provided by a third-party security app. Besides the reviews, which cover the user experience of the apps, the results of comprehensive tests on malware protection rates and battery consumption are provided as well. Additionally, a short table at the end of each product report gives an overview of any anti-theft functions included in that product. Many of the reviewed and tested apps have components which are not security-related, such as power and memory optimizers and data backup tools. The review mainly focuses on the security features – anti-malware, anti-theft, and privacy – and only mentions further functionalities briefly. 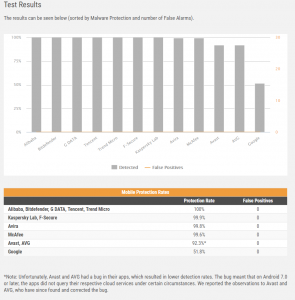 The structure of each product report is identical, allowing readers to compare products easily. The main purpose of a mobile security product is to protect users and their devices from potential harm inflicted by malicious apps, fraudulent mails, or phishing URLs. Readers should note that recent Android versions incorporate some basic anti-malware features. For example, Google’s built-in malware scanner Play Protect checks apps during installation from the Google Play store or a third-party source and scans the device continuously for any threats. Google’s Safe Browsing API protects against malware and phishing links when the user is surfing the Internet using the Chrome browser. Furthermore, an anti-theft component in a security app could be used to find a lost or stolen phone, and/or prevent access to any personal data stored on the device. Basic anti-theft features (lock, locate, alarm, and wipe) are already provided by recent versions of Android via Google’s Find My Device function. On the following pages, we provide a brief overview of the risks facing smartphone users from malware and the loss or theft of their device, and discuss the benefits of security apps. We start by recapping Android Oreo’s new features and security behaviour changes. Furthermore, we will argue why it is not advisable to rely only on built-in malware protection features (all latest and newer Android devices are already equipped with such functions), but instead install a third-party anti-virus app to be better protected against security threats. After that, we give a short summary of security features and their main sub-components commonly implemented in typical security apps for Android. At the end of the introduction, we list the participating security products, and present the results of the malware and battery drain tests. Detailed reviews of the individual products follow, in which we will shed light on the layout and usage of the features. In the table representing a product’s anti-theft features, we comment on each function briefly and use the following symbols to indicate how well it worked in our tests. In May 2017, Google announced its new built-in malware protection for Android, Play Protect, which checks apps and APK files when they are downloaded using the Google Play store app or third-party sources. 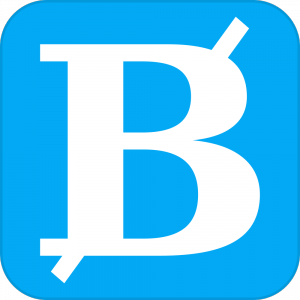 Since August 2017, it has been available on all Android devices with Google Play Services 11 or later, and is preinstalled on devices with Android 8.0 and later. Play Protect constantly monitors the device and all the user’s data, and notifies the user of any security risks found. It also scans the Google Play store and all installed apps for any signs of malware, and includes the three functions malware scanner, device loss (Find My Device), and safe browsing. One might think that third-party anti-virus apps are no longer necessary for Android devices, due to Google’s built-in malware and protection features. This might be true for Android devices with Play Protect integrated into the preinstalled Google Play store app. However, some Android devices (e.g., Amazon’s Fire line) do not benefit from the built-in malware protection of Play Protect as they do not run Google apps by default. At this point, we would like to recommend AVC UnDroid, our Android app analysis tool, which is available free to all users. It is a static analysis system for detecting suspected Android malware and adware and providing statistics about it. Users can upload APK files and see the results in various analysis mechanisms. BUDAPEST, HUNGARY, August 30, 2018 /EINPresswire.com/ — Thanks to Google we can all get to know everything about almost everything. But besides the often contradictory information, your search for knowledge often can lead to a marathon of hours between blogs, vlogs, and movies. Calltheone.com changes your journey into instant contact with an expert. Via calltheone.com you can search for any subject and instantly knowledgeable experts will appear from all over the world on your screen. With one push at the button, you create a live video connection and the expert will instantly answer all your questions. As you usually pay your lawyer, gardener or mechanic per hour, within calltheone.com the first-minute consult is for free and the rest of the time you pay a fixed fee per minute. 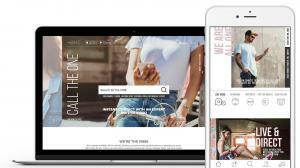 Calltheone.com makes sharing and asking for knowledge easy, accessible and affordable for everyone. Not only as a seasoned professional but also as a consumer with passion about a subject, you often possess a lot of knowledge. Even if it is only about your last holiday destination or the plants that you have been flowering gracefully in your garden for years. On birthdays we tell plainly about what we all know and what we have experience with. Via calltheone.com you can now also earn something from your lazy chair. And as a professional, it can be a welcome addition to the long queue ride. Thanks to the profile of the expert and the feedback assessment method, the applicant immediately sees whether the professional or consumer will meet expectations. And if it is a mismatch, you'll find out quickly enough and it often only costs a few euros. The platform has only just started, so it may take some time, but because calltheone.com is available worldwide, knowledge from all over the world will soon be available. So even if your Wifi goes down in the middle of the night, there is always an expert who can help you. Companies also use calltheone.com. IT and electronics chain MyCom.nl has connected all its employees and presents them on its site. For example, some employees can also be reached outside of opening hours for good advice. Many companies have already signed up to set up their service desk in this way. The advantage for the consumer is not only accessibility. Thanks to the profile of the employee you as a consumer know immediately whether you are getting the right person on the line with the right knowledge about your question. 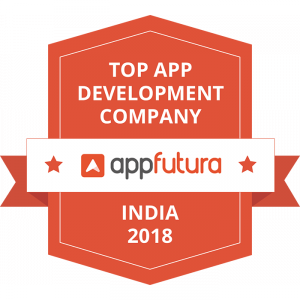 After a few months, AppFutura has revealed the revised list featuring the top app developers in India for 2018. BARCELONA, SPAIN, August 30, 2018 /EINPresswire.com/ — AppFutura, a leading lead-generation platform for mobile app developers, has revealed a revised list featuring the top app developers in India for 2018. This is a second iteration of the list published last April. The list of top app developers in India is based on the activity of these companies on AppFutura, especially the authentication of real reviews submitted by clients of the different companies. All the companies on this list have proved to be able to provide effective solutions to their customers. AppFutura is a lead-generation platform that works in two main ways. 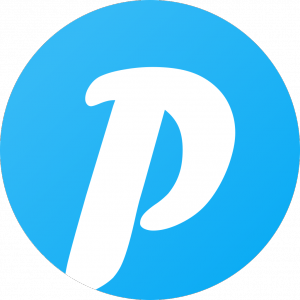 Firstly, the platform is a worldwide listing, providing high exposure to app development companies, where they can be found by potential customers around the world. This brings clicks to their websites and direct inquiries. On the other hand, it works as a project dashboard where businesses can post their app development needs, receive development proposals from top development companies and eventually hire their favourite through a safe payment system. For those in need of more thorough support, the AppFutura team can help you select the best candidates for your needs and will also assist you during the whole development process. HYDERABAD, TELANGANA, INDIA, August 30, 2018 /EINPresswire.com/ — Regtech is application of cloud computing through software as a service (SaaS). Regtech is a software technology to address regulatory and compliance challenges in different sectors such as finance, healthcare and cyber security. Artificial Intelligence (AI) is used in modeling, scenario analysis and forecasting, and particularly for “stress test” in regtech sector. Finance Regtech industry is accepting the AI technology with open arms across the globe. But the process of adopting regtech is not easy, as some challenges are popping out frequently. The biggest challenge is people are still reluctant to accept the change because of fear of replacement by machine. Furthermore management buy-in, cultural change and traditional method are some other barriers in adoption of AI in regtech. Lack of structured data and transparency in process makes it less appealing for regtech sector. In order to deal with these challenges regtech providers should ensure that their offerings must specify risk typologies and taxonomies. They should ensure that data flow and architectural design, as well as metrics, reporting and dashboard modules are robust and uses more analytical approaches to address underlying risk and operational issues. Some of regtech startups are gaining popularity in 2018 such as encompass, Onfido, Qualtrax and Suade. Encompass, started in 2012 with total funding of £4.2 million ($5.51 million). The company offering includes automating information, Know Your Customer (KYC) requirements for onboarding, event-driven refresh and remediation. Encompass uses robotic search to screen entities for KYC compliancy, delivers efficient processes for faster, safer regulatory compliance, which in turn reduces costs and brings in superior risk management. Onfido, started in 2012 and received total funding of $60.3 million in last six years. AI enabled Onfido’s software validates a user’s identity document and compares it with their facial biometrics. It ensures that user’s identity have not been forged, digitally tampered, lost or stolen. Notable companies such as Google, Uber Eats and Zoomcar etc. are already using this software. With such huge funding Onfido may plan to add more features in this software as its product is already gaining momentum. Qualtrax received a funding of $1 million in 2017, and is the first Intranet product for supporting and maintaining regulatory requirements for document and data control. It assists the companies in achieving compliance goals. It also manages documentation and automation of key business processes and ensuring critical industry regulations are addressed. Qualtrax is helping companies to achieve regulatory compliances such as ISO, FDA and HACCP etc. As these certifications are very important for food & beverages and healthcare industry, this service will gain huge popularity among them. Various startup are coming up with innovative tool to solve the unmet need of regulatory compliance. A Chicago based regtech startup Ascent, founded in 2015 has grabbed $6 million in March, 2018 to develop tools for regtech with the help of machine learning. The company is targeting the market with strong compliance program. In future Ascent needs to revise its business idea as other startups have grabbed funding for similar idea. In future compliance will be no longer treated just as legal issue but as a different business sector. Anti-money-laundering (AML) and know-your-customer (KYC) and identity verification will continue to be the hottest areas of regtech. Regtech will allow banks to boost their responsiveness to regulatory change. With the advancement of blockchain technology along with AI, regtech sector is expecting heavy growth. All financial institutes will have to embrace regtech in order to reduce the cost and stay ahead in competition. Q. Does IndustryARC publish country, or application based reports in Artificial Intelligence Market In Regtech? You Are The Biggest IoT Security Threat! Security is overlooked. 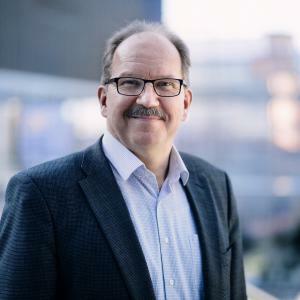 Kimmo Aura, Program Director, Business Finland, Connectivity from Finland’s telecom acceleration program reviews IoT security today. HELSINKI, FINLAND, August 30, 2018 /EINPresswire.com/ — Lack of security is present in the consumer IoT market, personal and home devices and services as well as in the industrial IoT (IIoT) sector. Based on different research sources, the underlying reasons for security threats in the consumer and industrial markets are different, but the risks and damages to both can be irreparable and immeasurable in economic terms. Over the next two years, the number of IoT devices entering households is predicted to climb steeply from nine devices per household currently to 500 by 2022 according to Gartner with IoT connectivity being bundled into products whether people want it or not. According to a research funded by F-Secure, the leading cyber-security technology house, many IoT devices would go unprotected because consumers do not know how to change the manufacturers’ default security settings. The drive to be the first to market has meant that many manufacturers have not even considered the security implications of their devices. They have either not built appropriate security measures, use inadequate measures or, in some cases, provide no settings at all. Of even greater concern is the potential for IoT devices to be turned into eavesdropping mechanisms that can hear and see what is going on wherever they have been deployed. Online criminals could even access and control biometric data such as fingerprints, voices and facial images stored as digital data. Long, deliberately unwieldy and confusing terms and conditions associated with the use of devices that users are practically forced to sign up, gives manufacturers the right to collect private data and control how its device is being used. Consumers largely remain oblivious to potential implications. Lack of awareness will also result in significant security risks to individuals since IoT devices with limited security will easily connect to home Wi-Fi networks and other radio protocols such as Bluetooth, Zigbee and Z-Wave and use those networks to link to other devices such as computers, handheld appliances and mobile phones. According to the 2018 SANS Industrial IoT Security Survey Report, most organisations globally are looking at a 10 to 25 per cent growth in the number of their connected devices. This will lead to the systems that are connected to IIoT devices to double in size every three to seven years. Consequently, enterprises see network complexity as the single biggest reason for IoT security threats. Data, firmware, embedded systems and general endpoints are identified as the most vulnerable parts of IoT systems. Systems are scattered across numerous sites hosting autonomous end-points, which make configurations difficult to manage. The SANS poll also discovered that complex systems will open a responsibility issue. IoT professionals define IIoT endpoints differently and this in turn will become the basis for confusion surrounding responsibility for IIoT security. In IIoT, the security issue is not in the software and hardware security features. According to Tosibox, the pioneering IoT company founded to make security easy, the only way to overcome the security threats due to complexity is to minimize the amount of manual configuration work. Its solutions are unique due to highly simplified and automated network and device configuration. This minimizes manual work, and thereby reduces the likelihood of human errors. In IoT, whether consumer or industrial, humans are the biggest and hardest security problem to fix. End users often lack adequate tech skills, or do not care about the simplest security measures such as changing the default password. Sometimes it is product managers of device manufacturers who decide to trade security for faster time to market and higher bottom line. Sometimes it is IT managers or experts who get blown away by the gigantic complexity that this exponentially growing IoT system causes. F-Secure and Tosibox are showcasing their IoT security solutions at the Mobile World Congress Americas in Los Angeles on September 12-14th at the Finland Pavillion (Stand 1360). Other telecom, video, cybersecurity and IoT companies showcasing at the Finland Pavilion are Bcaster, Cloudstreet, Convergentia, CreaNord, Exomi, Kaitotek and Sitowise. Finland Pavilion is organized and funded by Business Finland’s Connectivity from Finland business acceleration program. Business Finland is fully-owned by the Finnish Government. 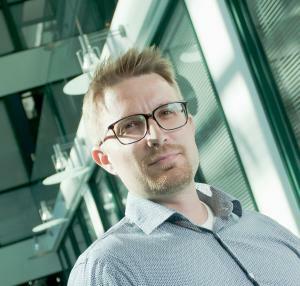 Kimmo Aura is the Program Director at Business Finland where he heads the Connectivity from Finland program, which helps Finnish Telecom and IoT businesses accelerate international growth. Kimmo has 25 years of experience in developing international consulting businesses in Telecommunications, fiber optics, machinery, mining and management consulting. According to Kimmo, the key to success in international business growth is listening to the customers, understanding their concerns, and streamlining your own organization to fulfil the customers’ needs. For three decades, F-Secure has driven innovations in cyber security, defending tens of thousands of companies and millions of people. With unsurpassed experience in endpoint protection as well as detection and response, F-Secure shields enterprises and consumers against everything from advanced cyber attacks and data breaches to widespread ransomware infections. F-Secure’s sophisticated technology combines the power of machine learning with the human expertise of its world-renowned security labs for a singular approach called Live Security. F-Secure’s security experts have participated in more European cyber crime scene investigations than any other company in the market, and its products are sold all over the world by over 200 broadband and mobile operators and thousands of resellers. Founded in 1988, F-Secure is listed on the NASDAQ OMX Helsinki Ltd.
Tosibox was established in Oulu, Finland in 2011. Today Tosibox ecosystem solutions are used in the network infrastructure of businesses in 123 countries. The firm holds 89 global patents, has sales organisations in 29 countries and wholly-owned subsidiaries in Germany, Scandinavia and the USA.